Like a good gathering place, this website is meant to be a space for convergence, dialogue and the sharing of thoughts. 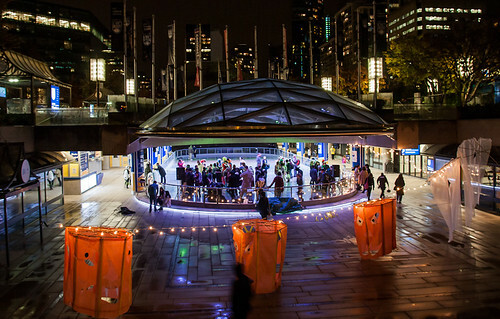 We hope you’ll take a stroll, contribute your ideas on Vancouver’s public realm – perhaps sign up for an event or participate in one of our projects. We aim to have something of interest for every public space enthusiast. This new website replaces our former blog (active since 2010) and an even older website that we had designed back when we started our work in 2006. Over the next few months, we will complete a migration of all material from these earlier sites, including reports, discussion papers and other items. So think of this new site as your one-stop-shop for all things VPSN! We are indebted to web designer Erika Rathje and programming developer Nicolas Demers for their countless hours of work on this site. These two have been the driving force behind all design and technical considerations – and couldn’t have been more awesome to work with. Thank you Erika and Nicolas!! The website has also been a labour of love for key members of our communications team, including Jillian Glover, Alissa Sadler, Graham Pollock, Michaela Montaner and our newly minted Comms Coordinator, Jessica Hum. Please have a look around and let us know what you think. As with any big project like this, there are still tweaks to be made here and there. We invite you to help us ‘iron things out’ and welcome any feedback that you might have. Sometime on the morning of March 11, perhaps as you were heading outside to sit on a bench with your morning coffee, Vancouver City Council was discussing a motion entitled “Protecting Vancouver’s Public Greenspace.” As we noted last week, if passed, this motion would direct City staff to develop a policy of no net loss of public green space. (There are other provisions in the motion around increasing greenspace setting biodiversity targets as well). What ‘no net loss’ idea means, in general, is that whenever there is a loss of greenspace in a park or school board site, it would have to be replaced. Of course, as we note below, it’s the specific details where things start to get tricky — and we have identified a few items that we feel are worth thinking about if this motion gets the go-ahead. …The idea of developing a ‘no net loss’ policy has considerable merit. The VPSN first wrote to the City in support of a similar motion in November 2007. We commend the City for revisiting this issue. We note that the idea of a no net loss policy has some technical and implementation-related questions that will need to be looked at closely. We would like to use this opportunity to share some considerations in advance of any policy or strategy development. Clarifying ‘no net loss’ – Greenspace can be reduced in two ways: (1) through a reduction in the number of hectares of designated greenspace (e.g. 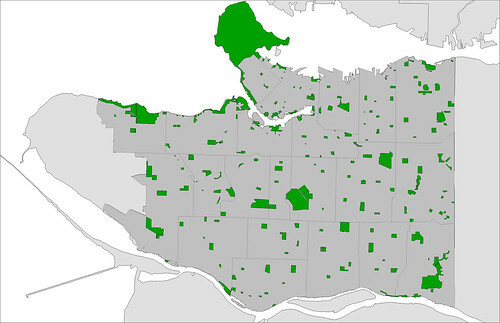 through the expansion of a park building or installation of a parking lot – assuming that these are not part of the original ‘net total’); and (2) through the potential reduction in available park space per capita, as the population of the city grows. The VPSN supports measures to mitigate both of these forms of reduction. Greenspace vs open space – Some additional clarity should be considered around the loss of greenspace versus open-space, as these terms are overlapping, but not synonymous. If a park is redesigned and has an increased amount of hard-surfacing introduced – i.e. 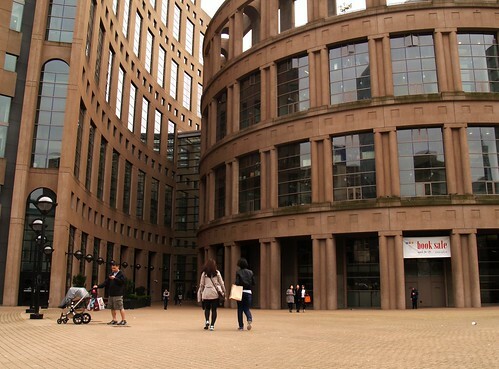 a plaza – does that count as loss of greenspace? Similarly, if a public gathering area/plaza without any real landscaping is reduced, could that trigger the provisions of this motion? 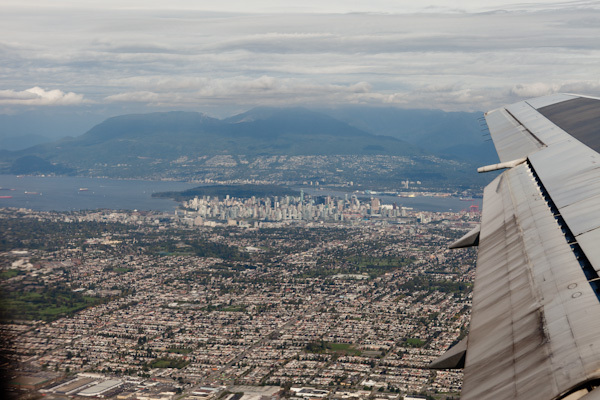 Quality and quantity – While this motion focuses on the idea of quantitative reductions in greenspace, we would suggest that improvements in quality may be as important, if not more important than quantitative improvements. Stated another way, merely ensuring that ‘lost’ greenspace is replaced doesn’t necessarily guarantee a public or environmental benefit is derived.We understand also that, in at least two of the community plan consultations (Marpole and Grandview-Woodland), strong preferences were expressed for qualitative improvements to existing parks.Given that a no-net loss policy will require some funding mechanism for parkland acquisition, this raises the question – would at least a portion of that money be better spent improving under-performing spaces before acquiring new space elsewhere. We offer this as food for thought. Locational considerations – In general, the VPSN supports a ‘no net loss’ approach that ties any ‘replacement greenspace’ to the neighbourhood/local area in which ‘the loss’ takes place. 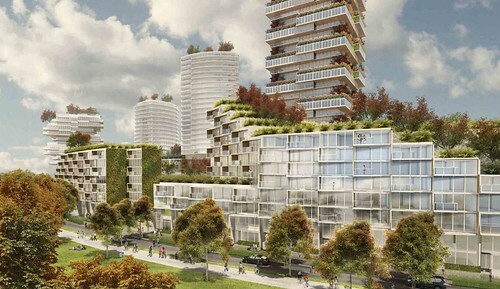 However, we note that the motion raises a question of equity: what if there is a net loss in greenspace in a neighbourhood that is particularly park rich? Is it appropriate to shift the public benefit to an area of the city that is park deficient? Again, something to think about in the course of developing a strategy around this. Either way, we recommend that the City be clear on this issue. Funding ‘no net loss’ replacement greenspace – The City’s parkland acquisition budget is not particularly large. Furthermore, the Parks Board already has a number of laudable park acquisition priorities: focused on ensuring waterfront access, increasing parkland in park-deficient neighbourhoods and supporting the acquisition of park space to meet the Greenest City 5-minute ‘Access to Nature’ goal. We would not want to see this already-limited budget further stretched to support the no-net loss goal. To that end, we favour the apportioning of additional funds from the annual City budget to support this motion. Again, these comments are intended – pending approval of this motion – to strengthen any future work around a no-net of greenspace policy. We would like to further note our support for the other provisions of the motion that deal with the potential to expand greenspace and, also, to set biodiversity targets in the city. 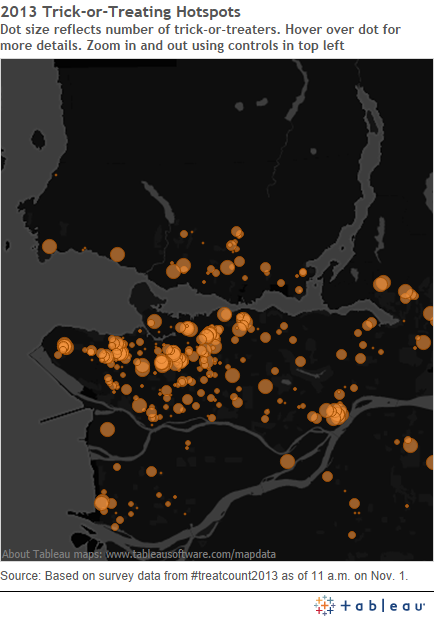 On March 12 2014 the Downtown Eastside Neighbourhood Plan is going before council. 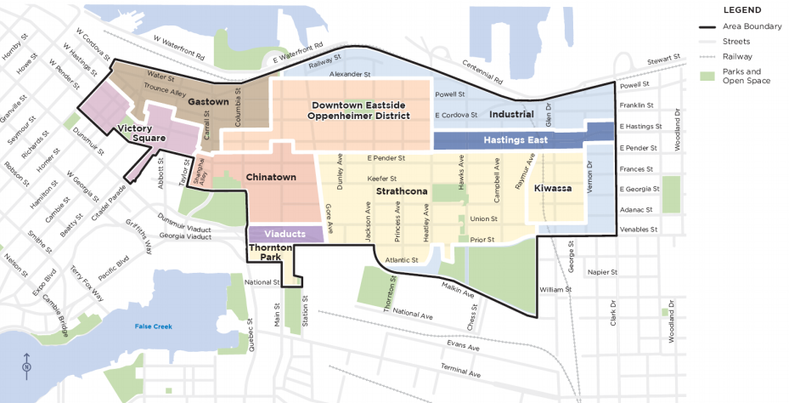 The plan sets broad policy goals for this complex and fascinating community that spans from the heritage communities of Gastown, Victory Square, Chinatown and Japantown, to the industrial spaces of Clark Dr and shady streets of Strathcona and Kiwassa, for the next 30 years. Now is the time to read the draft plan and share your thoughts! 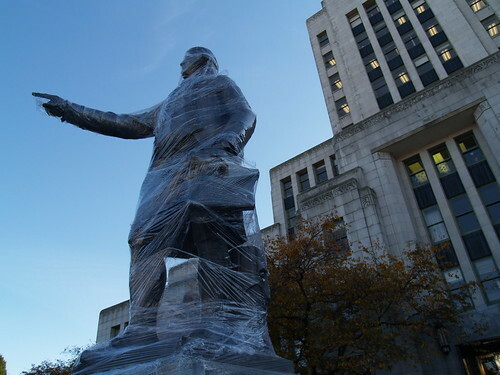 Attend the VPSN’s DTES plan review session at 7pm, March 4 2014. At this informal session we propose to discuss the impacts of the plan on public spaces in the DTES. Following this session we will draft a brief position statement and provide speaking points to any that may be interested in standing up on March 12 on behalf of public spaces in the DTES. Please come prepared to discuss the public space aspects of the plan. Note this is not an ‘official’ city consultation event. 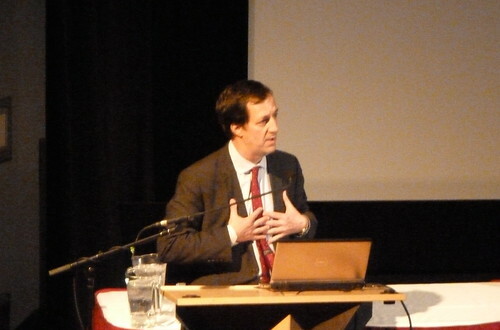 If you cannot make this event we welcome your comments for inclusion in our work by email. 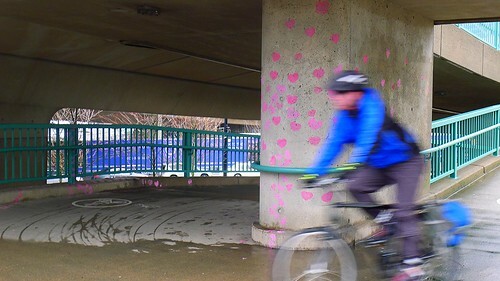 Nothing like Valentine’s Day to undertake a heart-shaped intervention – and show a little love for pedestrians and cyclists at the same time! 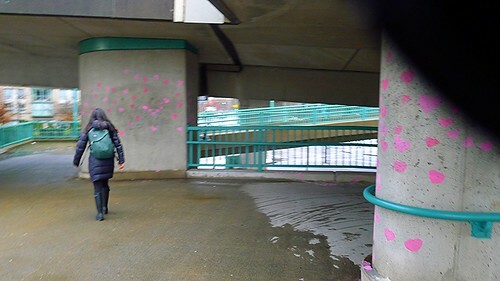 People walking and biking across the Cambie Bridge this morning were greeted with a series of red and pink hearts – paint-stamped into the underside of bridge. 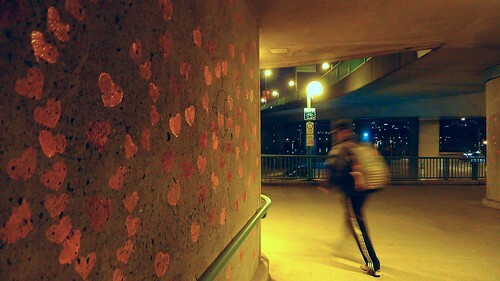 The stealthy street art was undertaken in the early morning, when it was still dark outside. And the hearts were painted in non-toxic, washable colours – making for a simple (and likely very temporary) transformation. A splash of colour to brighten the grey concrete. Especially on an overcast morning. 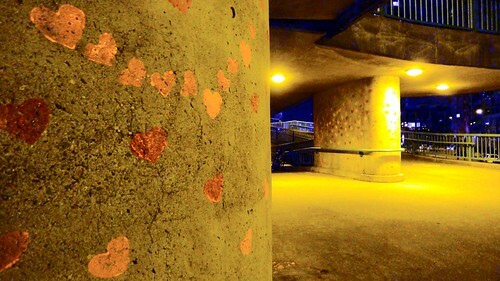 Happy Valentine’s Day to lovers of public space everywhere!